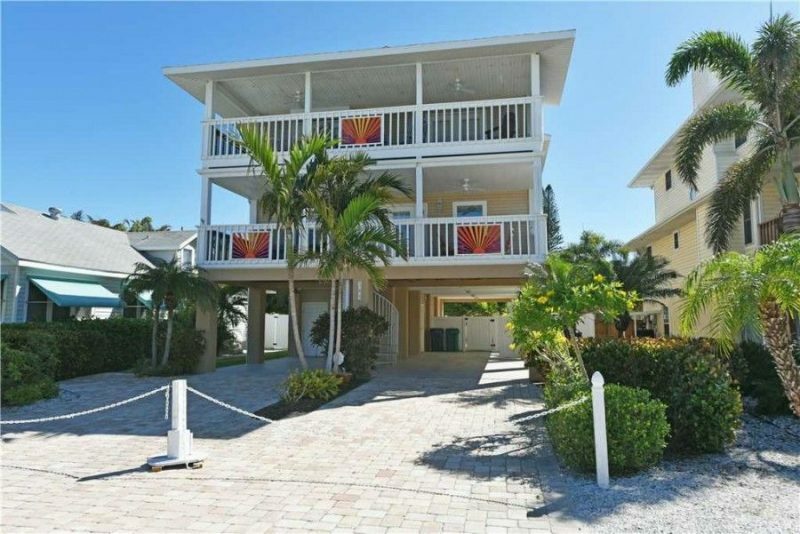 Bringing a big group along for the adventure to Anna Maria Island? 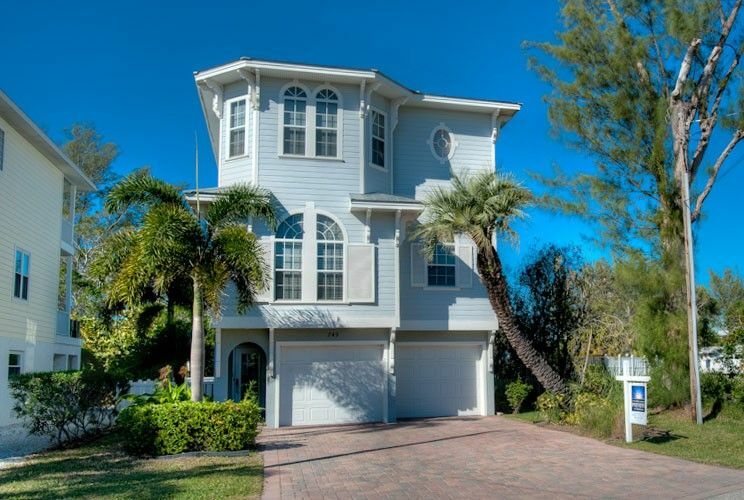 What better way to accommodate everyone than getting a massive rental right on the water? 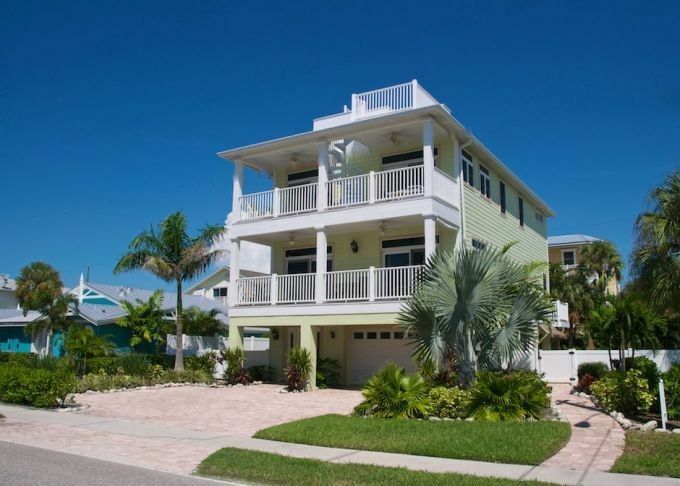 You can find staggering homes suitable for a big group on your next vacation escape to Florida’s west coast. Don’t throw away money on a hotel when you can save, get way better accommodations, and have a luxurious home base to explore the entire island. Below are 10 that could give you a grand experience. 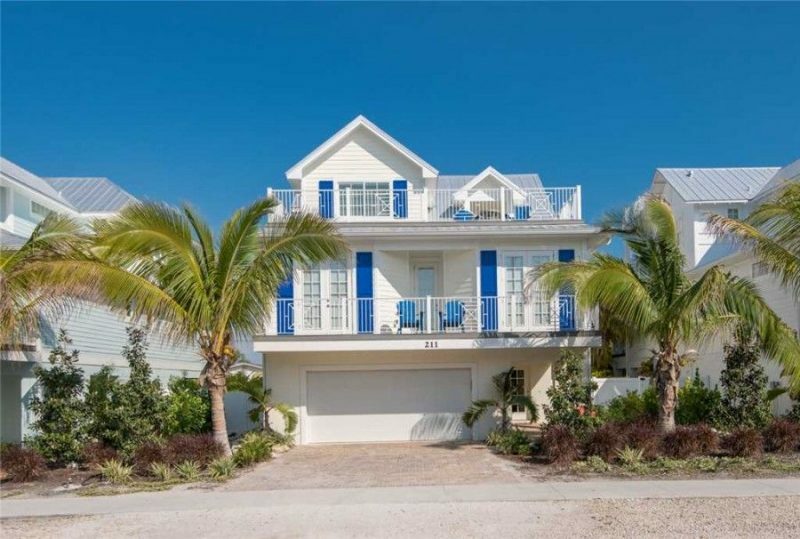 This beachside house is a true spectacle. The pool underwent a total transformation. Soak in direct Gulf front views with upwards of 16 or more guests across nine bedrooms and nine bathrooms. A spa with a water view, a fully stocked kitchen, and a stunning classic décor only scratch the surface of the seemingly-endless property amenities. The backyard is stunning. The Pearl Dream has a private pool, a spa, and even a cascading waterfall for that added level of ambiance. Of course, kids can also splash down on the water slide. Everyone has something to love. The patio space and gorgeous pool really exemplify everything that makes this property a real Caribbean dream. Relax on the wood upper deck and on the delightful blue patio while overlooking the poolside. 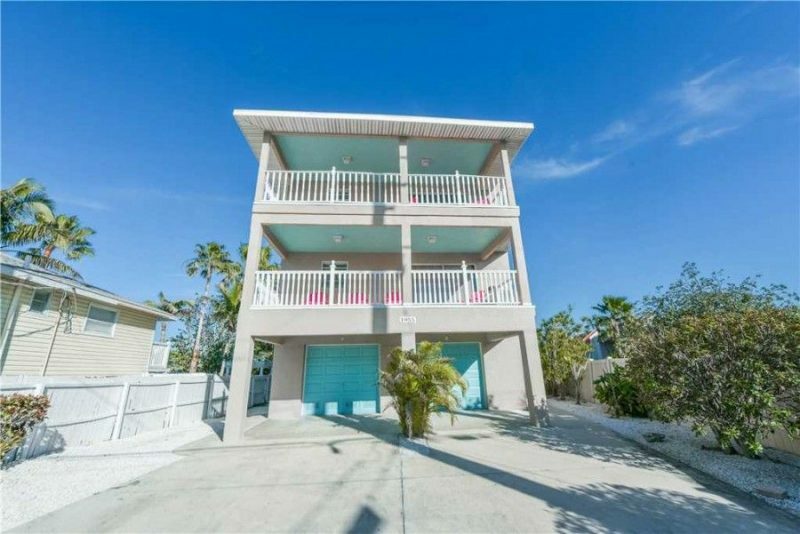 A Charming living space opens right out to the pool, with a 2-minute walk right over to the gulf beaches. Beach Side Vista sits right on the other side of the gulf. The open air deck gives you the chance to soak in one of the world’s most majestic sunsets, with a cocktail in hand. The activity room is unrivaled, and a perfect companion for large groups. Guests can chill at the tiki bar, play darts or foosball, and enjoy some time poolside. Walk five minutes to Bean Point to enjoy the island’s most isolated beach. Summer Breeze also welcomes dogs. Three stories up and featuring a delightful covered lanai, the Island Sol is your entrance to a true paradise. The bold and open kitchen is complemented by two open air decks, so you can find plenty of space to prepare and plenty of places to park it for a luxurious meal over the water. Montego Bay has a lot going for it, but its most charming and enthralling quality is its rooftop deck, offering bountiful views of the gulf and the island. 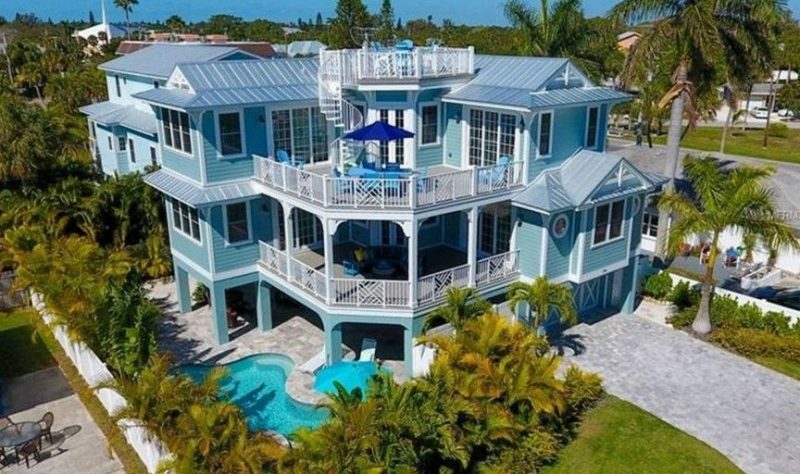 Enjoy its five bedrooms and den space for a tropical getaway. Get a gorgeous view of the gulf between the jungle-like foliage of your backyard. The heated pool and attached spa is hidden within an exquisitely-landscaped backyard space, with a tiki bar and covered porch to really set the ambiance. Whitecaps sits resolutely on the island’s lovely northern end. Take a one minute walk over to the water or enjoy the views from your adorable heated pool and charming back patio space. Ocean Sunset is well-named. Enjoy perhaps the finest sunset in the world while lounging out by the heated pool and on the open deck. 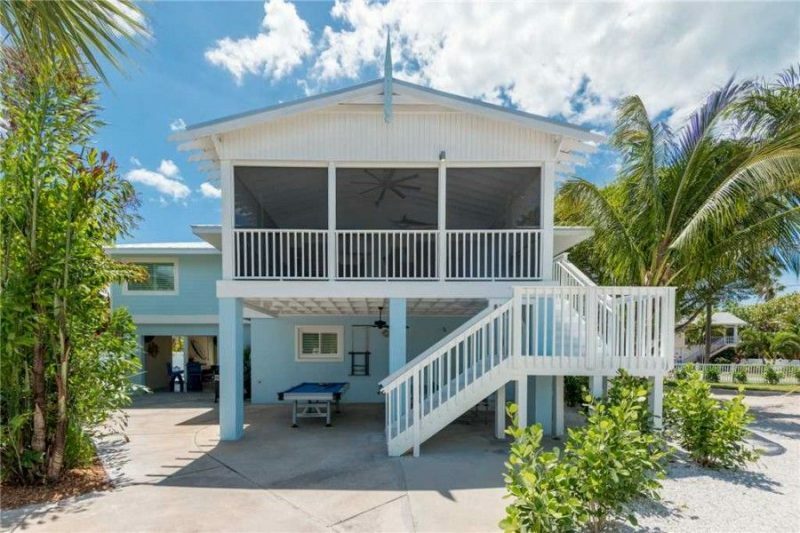 The walk to the beach is a mere 30 seconds- you are sitting right up on the spectacular Gulf of Mexico, in quiet isolation from the bustling side of Anna Maria Island. 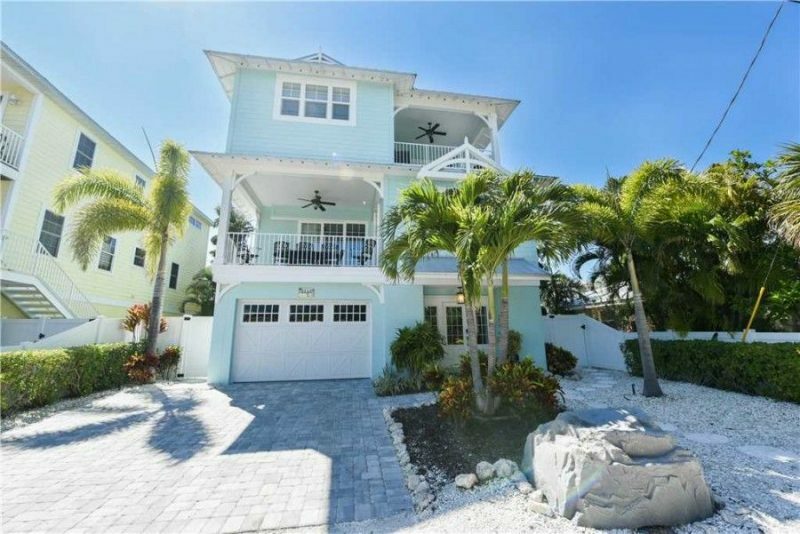 This is only a quick highlight reel of some of the five bedroom houses for rent on Anna Maria Island. 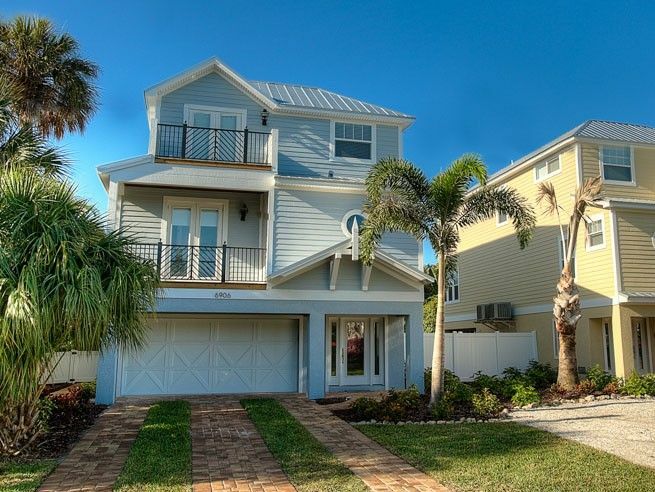 Explore the full line-up of five bedroom homes today and escape to a reserved and isolated paradise on Florida’s endearing southwestern coast.